Let’s keep it short and sweet this week, shall we? My Editor’s Pick of the week is San Francisco’s Commonwealth Club, which invites people to be in the know, and helps them be so through a variety of public programs, several including our three favorite passions: food, drink, and film. Earlier this week in the Commonwealth Club‘s Blue Room I listened to Kenneth Turan promote his new book Not To Be Missed: Fifty-Four Favorites From A Lifetime of Film with moderator Brian Hackney. Having just excerpted the book in our last issue, it was delightful to have Turan express face to face how pleased he was with our presentation. By the time this issue of EatDrinkFilms becomes available online, the Commonwealth Club will have featured a conversation between David Boeis and Theodore B. Olsen, co-authors of Redeeming the Dream: The Case for Marriage Equality, moderated by California Lt. Governor Gavin Newsom and introduced by actor / activist George Takei. 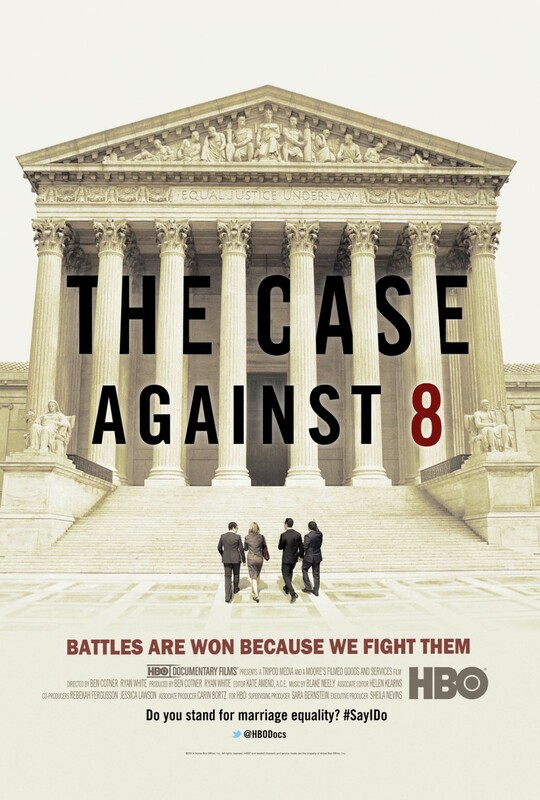 This is, of course, in association with Frameline’s Opening Night film The Case Against 8 , which chronicles the story of the five-year struggle to win the right for gay couples to marry, from Proposition 8’s adoption in 2008 to its defeat before the highest court in the land in Hollingsworth v. Perry in 2013. Another event that will have transpired will be “Food Fights for the 21st Century: Women’s Voices Driving Change” where filmmaker Deborah Koons Garcia (Symphony of the Soil , The Future of Food ) engages in dialogue with Zen Honeycutt (Founder and Executive Director of Moms Across America), Judi Shils (Executive Director and Founder of Teens Turning Green), and Christie Dames (Director of Moms Determined ). They will have discussed how food experts, particularly women, are finding their voices and engaging with corporations, governments and media aiming to create a healthier, less toxic and more nutritious future for their children and beyond. In other words, the first thing you need to know about being in the know is to keep up regularly with the Commonwealth Club’s calendar and to sign up early for their events. Their next event of note is scheduled for Saturday, June 28, 2014, but it’s equally a tease because it’s already sold-out. Notwithstanding, it fit this week’s thematic focus on chocolate and I mention it here only because—if it was that popular—it will circle back. Be ready to be in the know next time. San Francisco is in the midst of an artisan chocolate renaissance! And nobody knows this better than Gourmet Walks who invited Cathy Curtis to organize a special Ultra Chocolate Tour of San Francisco for the Commonwealth Club. San Francisco is at the center of the new wave of artisan chocolatiers. They’re experimenting with high quality beans, new methods of production, exotic fillings and breathtaking packaging. This walking and tasting tour will first head over to the Ferry Building and then visit gourmet chocolate and pastry shops throughout the downtown area. Participants will learn about chocolate history, health benefits, production and trends from a fun and knowledgeable tour guide. 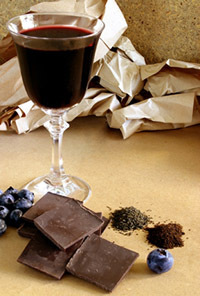 Generous chocolate tastings will include drinking chocolate, Parisian macarons, single-origin bars and infused truffles, and will end with a celebratory cacao-based cocktail at the Mandarin Oriental. The walk will be about 1.75 miles total over flat ground and will last 3.5 hours. Okay, I’m not really that mean. 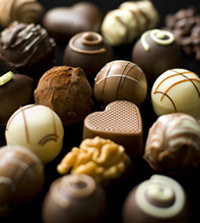 My pick for the week is not only the Commonwealth Club for its diversified programming, but Gourmet Walks who—lucky for those of us who missed the Commonwealth ultra chocolate tour—can make up for it by participating in no less than three ongoing chocolate tours provided by Gourmet Walks. The Original San Francisco Gourmet Chocolate Tour is a three-hour walking tour from San Francisco’s waterfront to Union Square held several times a week that takes you to seven tasting stations and promises lots of samples to take home. 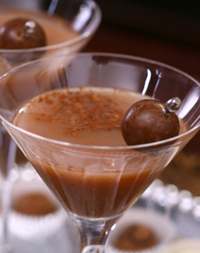 The San Francisco Ultra Chocolate Tour kicks the previous tour up a notch by adding unique wine pairings and even an artisan cocktail. This is the tour offered by the Commonwealth Club so, see? You really haven’t missed out. 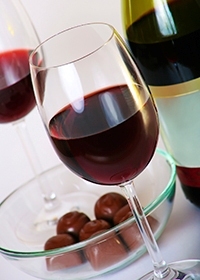 Finally, if you’re north of the City, you’ll want to participate in The Healdsburg Gourmet Chocolate Tour, a 2½ walking tour in downtown Healdsburg, Sonoma County, which features its own regional array of artisan chocolatiers. So whichever tour works best for you, just remember to bring me back samples. Chocolate photos courtesy of Gourmet Walks. This entry was posted in Eat and tagged chocolate, Eat, food tour, Gourmet Walks, SF Commonwealth Club. Bookmark the permalink.